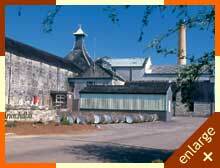 1988 Purchased by Inver House Distillers and reopened. Major contributor to Haigs blends. Knockdhu Distillery was founded in 1894 following the discovery of several springs of the purest, crystal clear water on the southern slopes of Knock Hill. 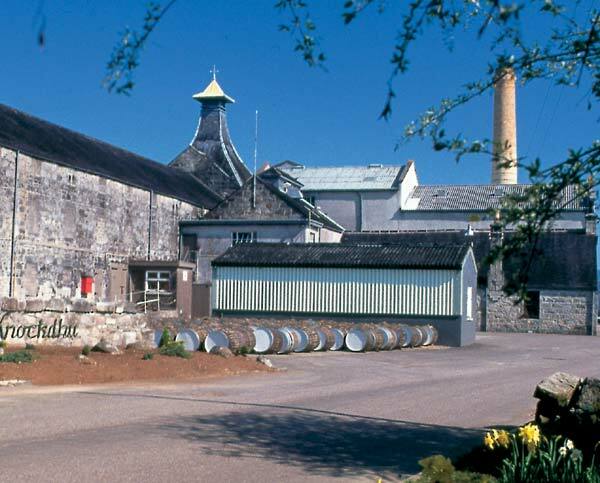 When production first started, the Distillery was a showpiece. 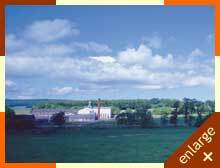 Two pot stills could turn out 2500 gallons of spirit per week, motive power being supplied by a 16hp steam engine. Cottages were built for the workers and their families, creating a new community around the Distillery. Much has been done to modernise buildings and machinery, but very little has changed in the distillation process. The two originally designed pot stills remain, giving Knockdhu the same traditional, distinctive flavour as was first tasted almost 100 years ago. Nose Floral, fragrant, citrus, lemon, peardrops, sweet, honey, sherry, spicy, vanilla, full bodied. Colour Golden amber rich honey. Taste Sweet, full bodied, spicy, vanilla, sherry, smooth, citrus, smoky tannins. Colour Rich amber, with a golden hue (with hints of emerald and ruby). Taste Smooth and full bodied with a long lasting finish. Sweet with sherry and vanilla notes.